Zynga and American Express have formed the first-ever partnership allowing cardholders to exchange their Membership Rewards points for Zynga virtual goods and game cards. 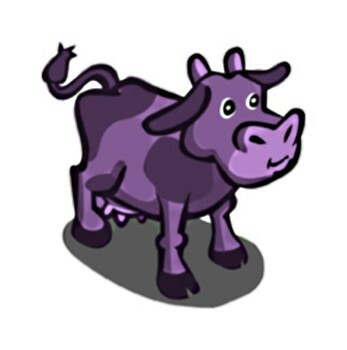 The new deal between American Express and casual game colossus Zynga will let gamers use their AmEx points to buy "limited edition virtual goods," like an exclusive FarmVille purple cow or CafÃ© World AmEx Lightning Stove, as well as physical and virtual Zynga game cards. As few as 200 points can be redeemed for a $2 Zynga E-Game Card, while a YoVille roadster will go for 755 points and a FarmVille blue manor will cost 1300 points. "With millions of Cardmembers looking to use Membership Rewards points, Zynga can now offer our loyal customer base an exciting new way to engage with their popular social games," American Express Group President of Enterprise Growth Dan Schulman said. Zynga Senior Vice President of Business Operations Vishal Makhijani noted that this is the first relationship of its kind, adding that it "reinforces our commitment to offer consumers meaningful experiences that enhance their game play." The partnership between American Express and Zynga is one of the most obvious signals yet that casual videogaming is mainstream business. Like it or not, a lot of people enjoy clicking cows on Facebook and nobody delivers that simple, social gaming experience better than Zynga. And if all goes according to plan, this is only the beginning; 20 more virtual items will be added to the AmEx list on December 6, including the FrontierVille Fancy Gold Hot Tub, Treasure Isle Zebra and FarmVille Golden Retriever. A full list of reward items can be seen at membershiprewards.com. For years, gamers have been demanding that their medium of choice be accorded mainstream legitimacy and now the moment is at hand. How do you like it so far?